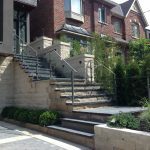 Pro Weld is the number one specialty welding and metal fabrication company in the Greater Toronto Area and serves a wide range of residential, industrial, and commercial clients by providing outstanding products, unbeatable value, and industry leading customer service. 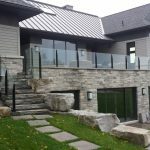 We have been in business since 1990 and meet or exceed quality standards related to welding and workmanship for a multitude of products including glass railings, as evidenced by our long professional affiliation with the Canadian Welding Bureau (CWB). As a CWB member company, we have certified supervisors on staff at all of our facilities that make sure all projects meet CWB guidelines and adhere to the customer’s stated deadline, goals, and budget. Depending on the customer’s needs, we provide onsite, mobile welding facilities that allow our design and welding specialists immediate access to the client in order to gather the correct requirements and specifications for the task at hand. 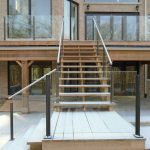 This is especially important when it comes to glass railings, as manufacturing and onsite welding minimize the risk of damage to products while in transport to the customer location. We also provide onsite welding for vehicles, be they modern, commercial, agricultural, classic or prototypes as requested. Our facilities in Concord feature some of the newest and most advanced welding and Plasma cutting equipment in the industry, including Mig, Tig, and Arc welding machinery which allow our specialists to cut many different materials to exact specifications, including Mild Steel, Stainless Steel, Cast, Glass, and Aluminum. In addition to glass railings, other residential and commercial services we provide include glass inserts, custom welding and steel work, fabrication, and clean piping, control systems, and instrumentation for pharmaceutical, food and microelectronics industries. Collectively, company owner and president Tal Drori and our staff have more than 40 years experience in all types of general and specialty welding which include certified high pressure washers, heavy equipment repairs, and onsite fabrication. At Pro Weld, we follow the highest standards related to design, fabrication, and welding services, but also understand the value of receiving feedback – good or bad – from clients, and taking the steps to correct issues and make continual improvements in products and services. It is this commitment to outstanding customer service that has resulted in our company receiving a 10-Star rating from HomeStars, a leading consumer reviews website where our team is regularly lauded for all of its work. Contact us today for a free quote.